A lot has been happening lately on atWar. We have a new moderator, Sid. Congratulations Sid, you're a great member of the community and make a great addition to the moderator team. As you've all known by now, someone has been DDoSing the game non stop for almost two weeks now. Due to these attacks many players have not been able to play atWar, which resulted in a strike being made by popular user Mauzer Panteri. Mauzer made a post calling for a strike against atWar as he was fed up and frustrated with the constant DDoS attacks and lack of action from the administrators. His post, which currently has 74 upvotes and over 300 posts, was met with a lot of praise from atWar users who were also upset with the way atWar was being dealt with. The post may be viewed as a positive thing, as Amok appeared and commented on the post. atWar Needs You! 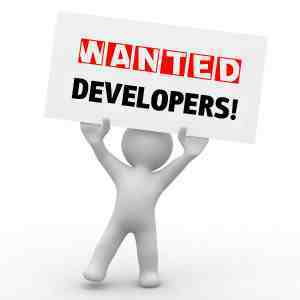 Experienced Developers Wanted! We are currently looking for people to help us with game development! Successful candidates will get access to the game source code and will be in charge of things like fixing existing bugs and adding new features and improvements to atWar. If you believe that you have enough expertise in this area, please PM me your CV (don't worry, it will be kept private), ideally with your most recent portfolio. Today I had the privilege to talk to Ivan, atWar administrator, about atWar. I asked him what he thought about the fact using inspect element to use the black color is worth a ban, and in his own words he responded with, ''I personally don't think it's ban worthy''. At the moment a moderator has the right to ban any users who does this, and many think this is a ridiculous rule. With permission from Ivan, I am creating a poll to see whether or not the community believes this should be ban worthy. Rules will be changed depending on the outcome of this poll. This week has hosted an intense round of Coalition Wars between multiple clans, all of whom are battling out it out for first place. With Enigma, Mortal Kombat, Mystics and Epic clan occupying the top 4 spots currently, it could go either way. The season will end on Midnight Thursday, leaving only 3 days left to clinch 1st. You can view the leaderboards here and keep track for yourself. Who do you think will win? This week began with the first rounds of numerous tournaments commencing, including the 1v1 5K, Ancient World Westm and the Master of Europe tournaments. These can be found in the tournaments sub-section of the forum. On the competitive side of the game, Epic Clan hold first place on the leader board by a significant margin, followed by Mystics and Enigma who are very close. The Aristokrats lost multiple members this week, leaving the future of the clan uncertain. Will this once great clan return to its former glory? This week, we've got to speak with Sascha, leader from Mystics. He is not very known in community, so we wanted to hear his voice about his clan, and general state of atWar. A loss for the competitive scene of atWar, The Immortals have been declared dead by their founder Cold Case in a thread where he showed appreciation to his fellow clan members and other respectable clans that they have faced. Lets see what is in store for the departed members of the clan in the future. Due to the recent elo farming and the elo point system becoming devalued, it has been decided by the moderators to ban duels created with alternative secondary accounts, due to the disparity between skill and rank level being played, holding an unfair advantage over equal rank players who do not posses as much experience. Duels will start to be deleted over the coming weeks where there is proof of alt accounts being used. Where a low rank player is demonstrating op skill and using a vpn or claims to be using a shared user IP address, action will be decided on a case by case basis. Going forward, punishments may be awarded to players who continue to break the new rules, updates to the rules will follow. 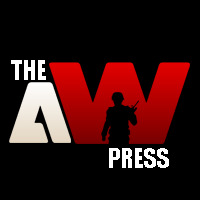 There has been speculations that Amok, the main developer of this game, has 'given up' on atWar. This was brought to light by a post made by Critical (Chicken Man). Sir Hellykin then explains to the community in the comments of the current situation regarding Amok and atWar: basically that Amok has no time to continuing developing for atWar currently, and that Ivan is learning HTML5 to continue where Amok has left off. Ivan is also working with Pulse (a moderator) to fix some of the code. It has been confirmed by moderator Brianwl that the correct trophy order is as follows: #1 Illyria, #2 Epic Clan, #3 Mortal Kombat. The moderators have stripped the Aristokrat of their trophy. However, at the moment the only administrator that can remove trophies is Amok, as there is a bug in the admin permissions and the elo calculation. When the farmed games were removed, elo was removed from the summer season, not the spring season. A new season has begun, congratulations to Epic Clan for stopping Aristokrats's winning streak, as Epic Clan were 1st place last season. So far we see Illyria first, Aristokrats second and the newly created clan Hybrid Warfare at third place. The well respected clan, Mortal Kombat, has also been revived for this season. They are currently at 4th place, with a total of 10 clan wars so far. Mystics have also returned as well, although they do not appear to be active in the CW field. The news have been quite slow this week, nevertheless here's some atWar news for you guys. hdrakon has been banned (once again), and with this ban we see the end of Mystics. Will he return, and will Mystics revive, only time will tell. Speaking of clans, the season is to end soon and see Epic Clan and Aristokrats still battling it out for the #1 spot. A clan called "Hybrid Warfare" has been created with some of its members using the unpopular strategy HW as a display of skill. For starters, we have two new moderators! Congratulations to Eagle and Google Chrome. Ivan had asked us all to nominate who we wish to see as moderators, and now we have them. It appears that Google Chrome is taking his role as moderator gladly, as the Fun screenshots thread is just filled with funny pictures of Google Chrome testing out his new moderator abilities, haha!